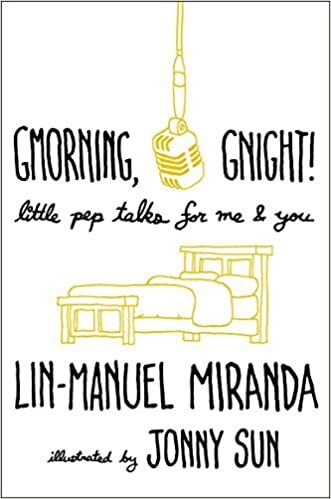 Your #1 Source for everything Lin (Manuel) Miranda! 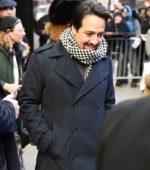 On December 18, Lin-Manuel Miranda stopped by Good Morning America to talk about his latest projects. Check the video below and the photos at the studios in our Gallery. Producer Eight-episode series starring Michelle Williams as Gwen Verdon and Sam Rockwell as Bob Fosse. Set to premiere on April, 9. Lee Scoresby Upcoming British fantasy adventure series based on the novel series of the same name by Philip Pullman. It is being produced by Bad Wolf for BBC One and HBO. Miranda portrays a charismatic aeronaut and adventurer, who becomes one of protagonist’s closest allies. Composer/Songwriter/Producer The Tony Award winner musical heads to the big screen. The movie is directed by Jon M. Chu and produced by the Warner Bros, while the script is written by Quiara Alegría Hudes, who wrote the book for the show. 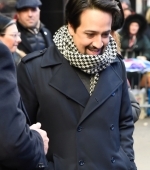 Lin-Manuel as David Santiago Miranda will be a guest-star in an upcoming Season 6 episode: he is set to play David Santiago, Amy’s brother and rival. He’ll appear in Episode 9, “The Golden Child,” which is set to air on Thursday, March 7, on NBC.